Search engine optimization (SEO) are techniques to help your website rank high in organic search results. This is important for your business because people use search engines everyday in order to find products and services. If your business website isn’t indexed (found) by Google, you are potentially missing out on new business. Now It’s not difficult to get your website to index. However, getting your website to rank high for specific product/services keywords is the difficult part. We’ll go over some basic SEO practices, then later more advance techniques. 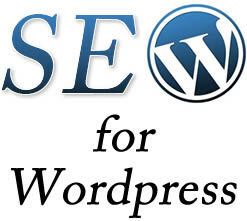 That can improve your website’s ability to rank higher in search engines and potentially bring you more customers. Here are 6 techniques you can do yourself if your running a WordPress website. Content is King, you want to write content that your target audience will find valuable and engaging. Every page in your website should have a headline that grabs the reader’s attention, this is also where you can include a couple keywords. Within the content body make sure to include a h1 heading, bold keyword text and an internal link to another page within your website that covers your keyword. The actual structure of your website URL can have an impact on the search engines and also makes it easy for the user to reference the page later. In WordPress you can activate this by going to the back-end of your website, under settings click on Permalinks. You set to custom and write /%category%/%postname%/ this will make your links search engine friendly. Pictures are great way to break up sections of text, and they also can serve as an opportunity to communicate with search engines. Since search engines cannot tell what a picture is, they look for the name of the image and the ALT tag to figure out what the image is. Naming your pictures is important. For example, ,,santa-barbara-seo.jpg‟ is much more useful than „pic355.jpg‟. Search engines also look for Alt tags, which are short texts of code that allow you to tag and name each photo on your site. So name your picture then add your picture in WordPress, you’ll then be asked to include a title, alt and caption for the image. Title tag is one of the most important factors in achieving high rankings. Title tag is HTML code that gives the title of the webpage at the top bar of your Web browser. It’s also the blue link that the search engines show when they list your webpage on the Search Engine Results Page (SERP). Title tags max out at 75 characters, so choose your words wisely. If your WordPress theme doesn’t have a way to manually insert a title tag, meta tag and keywords you can install the All in One SEO plugin. The META description tag describes your site’s content, giving search engines’ spiders an accurate summary filled with multiple keywords. The META description tag should contain multiple keywords organized in a logical sentence. The meta description is limited to 150 characters. Internal linking is when you reference and link to other content within in your own website. Using anchor text is recommended when linking to another page. When anchor text is used, it implies that the page you are linking to is about the keyword or phrase you use as your anchor. Anchor text is the clickable text that links to the page you desire. All search engines give significant weight to the anchor text on your pages. Backlinks are most important factors. This is the content your customers will actually see when visiting your website. Make sure your main page have your main keywords. It has a higher chance of being indexed than your other pages, and it will be the only page indexed by some engines. Some engines rank a page high if it has at least 100 words, so make that your minimum. Directories include pages based on the quality of their content, so make sure your pages aren’t simply lists of keywords. The H1, H2…H6 tags are given special relevancy weight, and you should plan to integrate your keywords into your heading. You don’t have to go extreme, just use one H1 for your most important keyword and two H2’s – one for each of your secondary keyword phrases. When creating your content pages, keep the following four concepts in mind: Keyword prominence, proximity, density and frequency. Keyword prominence – the best place to place keywords in the text is at the top of each page, preferably the main page. The closer your keywords are to the start of the page or the start of a sentence, the better. This concept is known as “keyword prominence.” You’ll frequently see it used to describe search engines’ algorithms. Some engines also say the bottom of the page should contain keywords as well. Here is an example how search engines see your page. Keyword Proximity – some engines, such as Google, use the concept of “keyword proximity” as part of their ranking formulas. As suggested by the name, “keyword proximity” means the how close keywords are to each other. Put your keywords as close together as possible and make sure your sentences are clear. Here’s an example: We have been selling weight loss products for over 3 years. In this case if someone should look for “weight loss products”, the sentence will rank higher because its keywords are closer to each other. Keyword Frequency – is a measure of the number of times keywords occur within a page’s text. It’s tied to the concept of keyword density. Search engines want to see more than one repetition of a keyword in your text to make sure it’s not an isolated case. The recommended repetition is 3-7 times. Keyword Density – the final point on visible text is keyword density. Simply stated, keyword density is the number of occurrences of a keyword divided by the total word count. For this, I try to keep my initial density to between 1-7%. However, this number may have to change depending on the level of competition. Contact us we can analyze your website for free and give suggestions you can implement yourself or hire us to make sure the job is done right.